I got a very cool thing in the mail from Kyosho a few weeks ago. It’s kinda a long story. 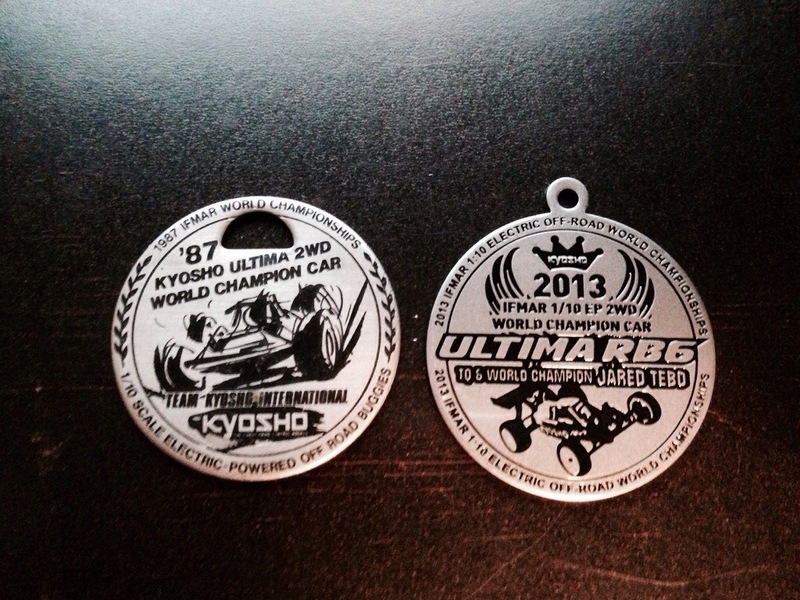 When I first switched to Kyosho in 2009, there was a local racer that gave me a cool little gift. It was a key chain from the kit that Kyosho sold after Joel Johnson won the 2wd WC in 1987. I was born in 1987, so I thought that was really cool. I put it in my tool box as a little good luck charm. It has been to every track and race since then. After I won in Chico, I showed Chikuba, the Kyosho engineer from Japan. He couldn’t believe I had one of those key chains. They never mentioned anything to me, but I got a sweet new key chain with my WC on it. How awesome is that!!!!! I haven’t heard what they are doing, or if they made a bunch, I’m not really sure. Pretty cool new good luck charm. Just wanted to share it with you guys. Hopefully they will have them in the kits or something. I will post something if I hear what they are doing with them. Thanks for reading and God Bless. dude i used to have that keychain! it came w my turbo ultima, my very first rc. congrats on getting ur own keychain and all ur success too!